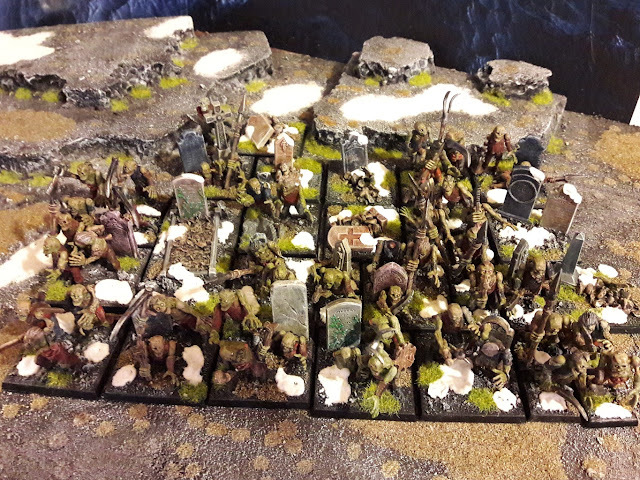 Well, it's Hallowe'en so I thought I'd share a post of (almost) all of my Zombies. 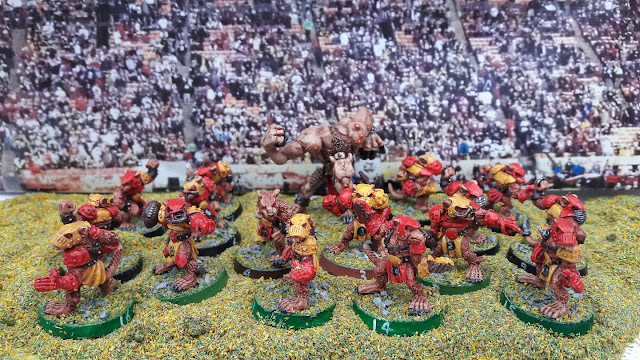 I actually found another 20 in a drawer that I'd forgotten I'd painted after I took this photo. 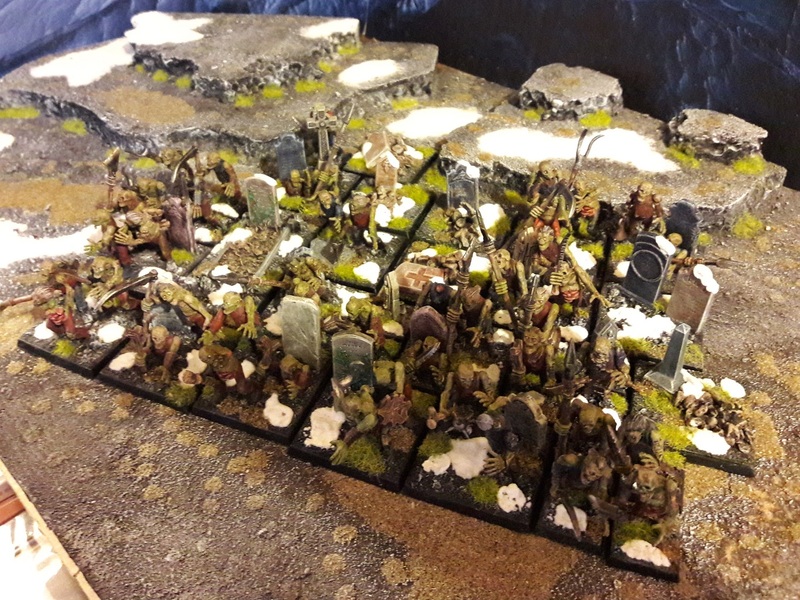 Life has taken a swerve to the kerb over the past few days so I'm unlikely to get much painting and modelling done for a while, but I do have a few finished (or very near finished) projects that I may be able to get up to snuff to keep the blog ticking over. 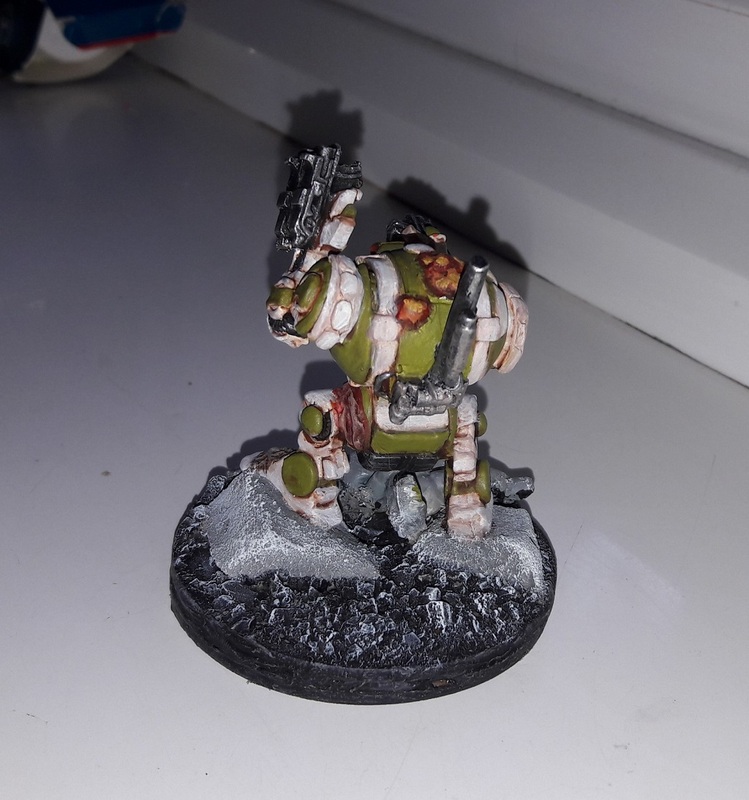 I'm particularly annoyed not to have completed my Heresy Death Guard Dreadnought in time for the end of DreadTober 2017, but I will finish it as soon as I can and share it with you. Getting near the end now. In my last post I laid down all the flat base colours. The model still looked pretty ropey at that point (some may argue it still looks ropey now!). Since last time, some washes have been applied, some drybrushing on the metallic bits, the lenses, buboes and Nurgle's Rot has been painted. A little drybrushing has been done on the base too. It's shaping up and the final form is becoming more obvious. 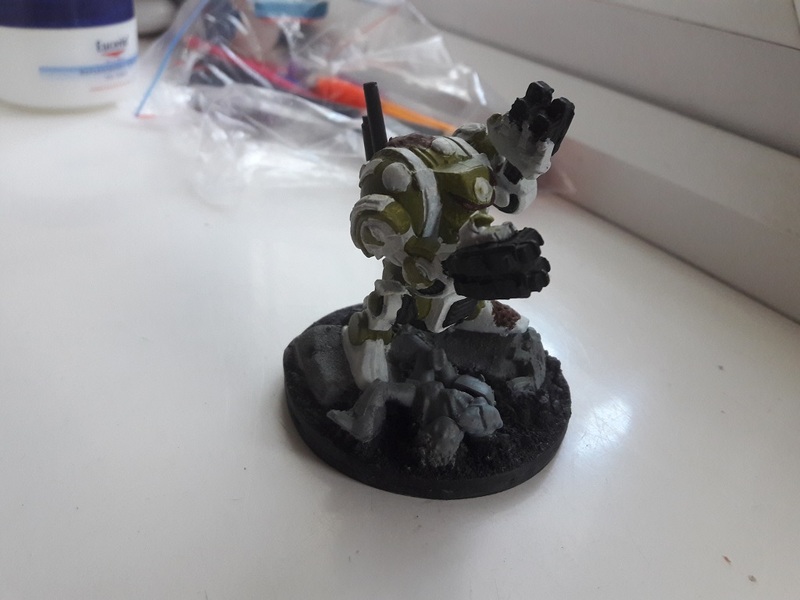 SO, I need to find somewhere to apply a decal (not easy on this model), apply some weathering and do some more work on the basing (there's a dead Marine down there somewhere, remember) to finish it off. 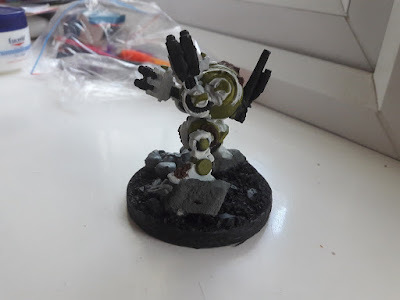 It's DreadTober 2017 Week 3 and my aim for this week was to block in the model with colours - no shading or highlighting, just base colours so everything would at least suggest the final look of the model. So, things definitely don't look too spectacular at this stage, but as I'm really just working out where each colour will fall I'm happy enough. I am soooo glad to have completed these guys. 25 years of guilt flushed away. Now all I have to do is finish everything else in my Cupboard of Shame and I will be a happy man. It's week 2 of DreadTober 2017 and things are going to schedule. My collection of bits & pieces has now been assembled into a viable model. The model is intended to represent a dreadnought for the Death Guard Legion from the Horus Heresy so I have added a very few Nurgle-y embellishments (a few buboes on the top, a bit of Nurgle's Rot on the left foot and (just visible from the rear) a suspiciously fleshy-looking gash on the left hip. As the old Rogue Trader dreadnoughts came with two different lengths of legs (yes - really. 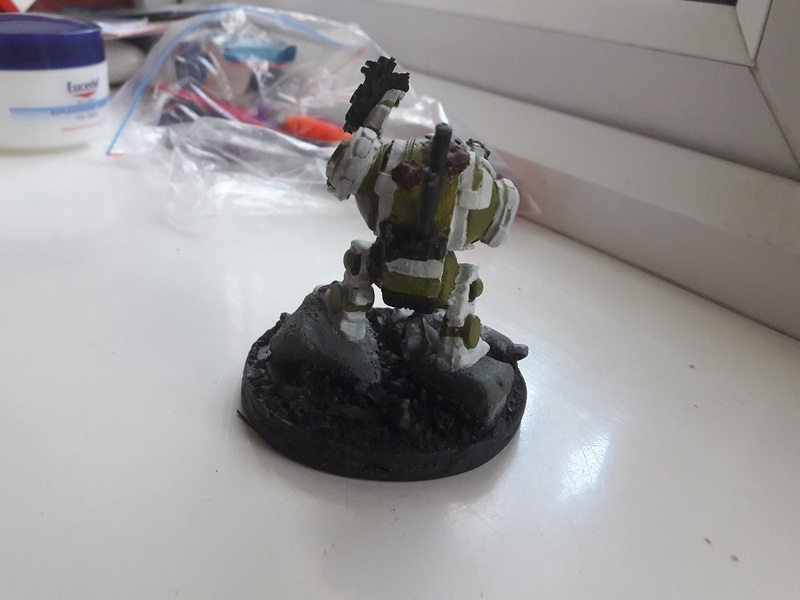 You can see one of the taller versions as part of my other Marine army here) and this is the shorter version of the two, I needed to boost it up a bit. Anyway, they were quite a bit smaller than a modern dreadnought model. So, I've used the builders' foam to build a rocky base to give the model a bit of loft. Woohoo! 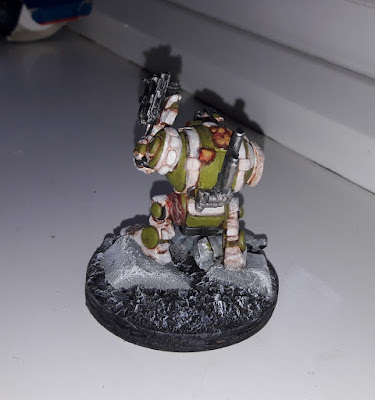 It's Dreadtober time again! I had a blast doing this last year and have been looking forward to it again since. I'm only doing one model this time. 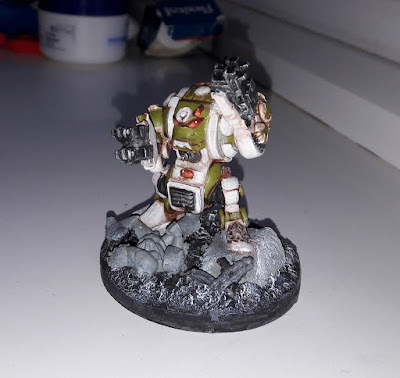 One of my (many) projects at the moment which is just getting underway is a Death Guard army to represent a Heresy-era Legion. 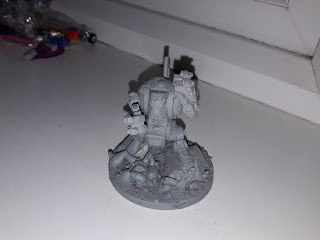 My intention is to (as far as possible) build this legion using models from the Rogue Trader period - First Edition Warhammer 40K stuff. 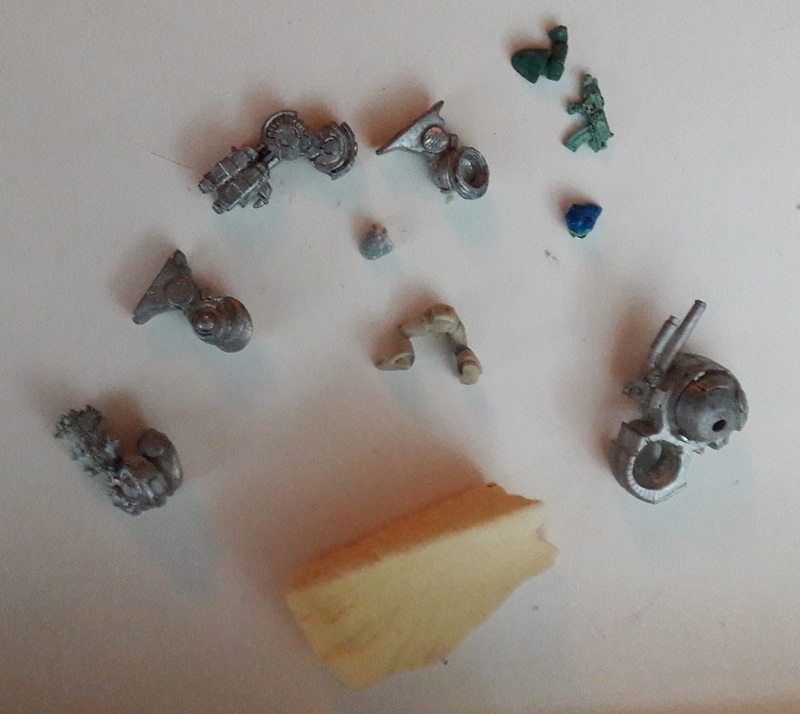 So, with that aim in mind, I've been digging out all my old RTB01 Marines and picking up bits and bobs from eBay. 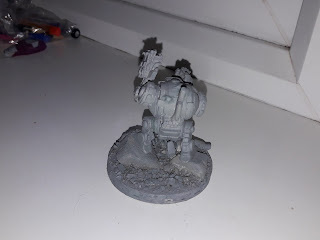 For DreadTober, that manifests as a Contemptor Dreadnought, armed with what were (in the day) twin-linked bolters on each arm, but (using current rules) will count as a pair of close-combat fists with a storm bolter on each. builders' foam in the pile. These will form some basing details.